Standing Room: $49.50 Available at the Box Office only on the day of the performance - Only sold when the performance is sold out. 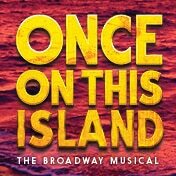 Lottery Tickets: A limited number of $49.50-$59.50 same-day tickets will be made available at the box office prior to each performance of Once On This Island. Entries will be accepted starting two hours before the performance. The ticket lottery will take place 90 minutes before each performance. Limit one entry per person, and two tickets per winner. Winners must be present at time of drawing and valid identification must be shown to purchase tickets. Cash or credit card. Tickets for certain performances may be offered in standing locations.